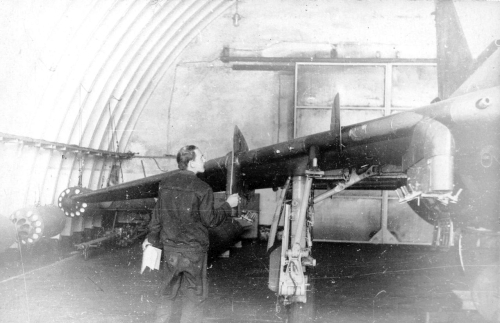 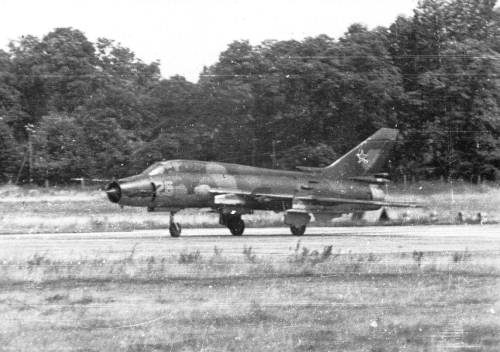 The 125th Fighter Bomber Air Division's 730th regiment usually used old techniques which it received from other unit. 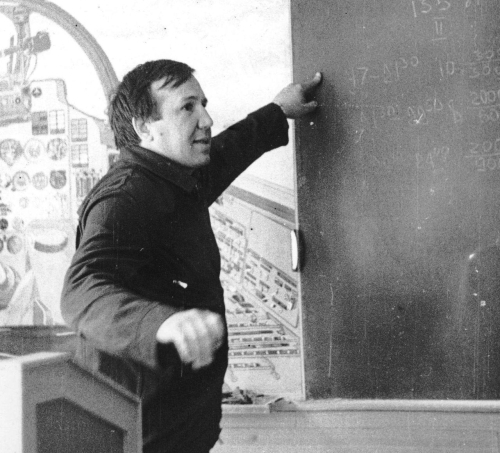 This changed in 1982. 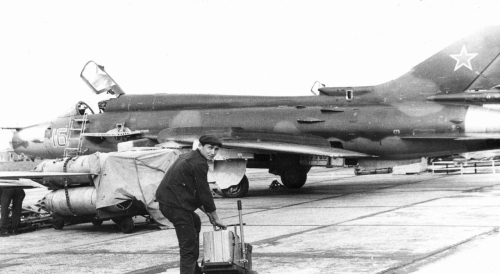 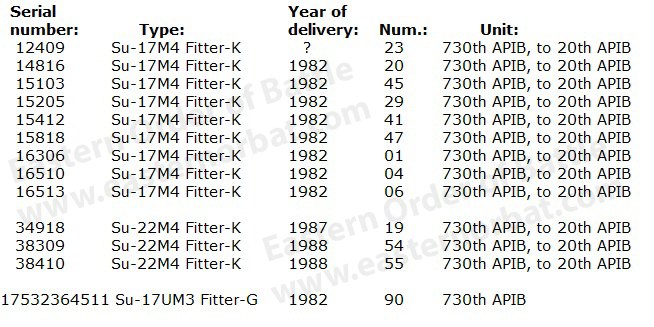 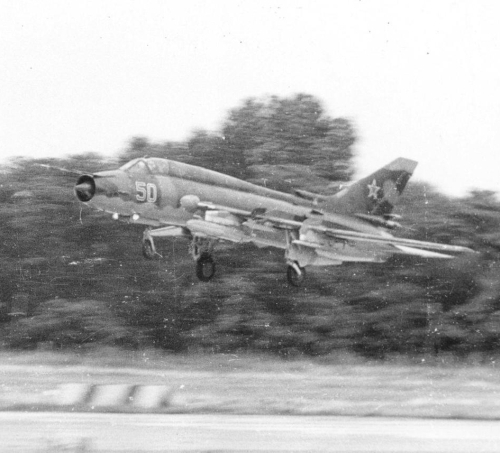 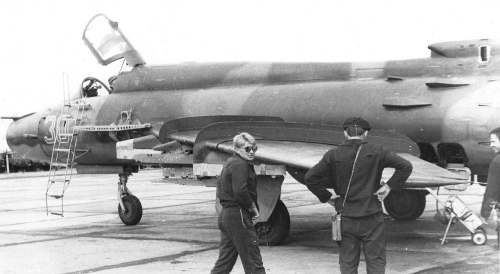 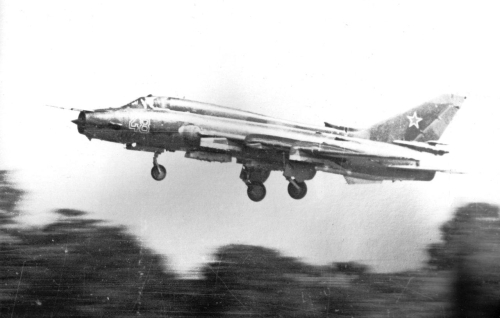 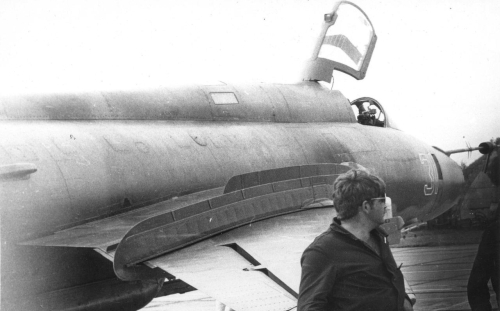 The old MiG-21SM Fishbed-J fighter bombers were replaced with modern and factory fresh Su-17M4 Fitter-K airplanes. 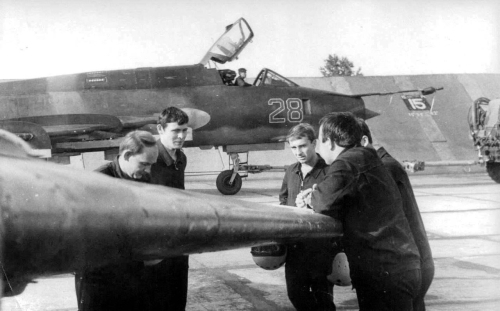 So they became the Soviet Air Force of the Western Group of Forces most advanced fighter-bomber type aircraft regiment. 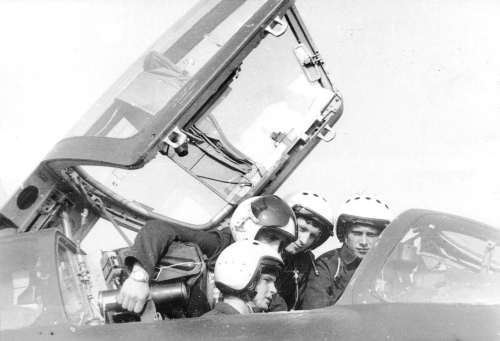 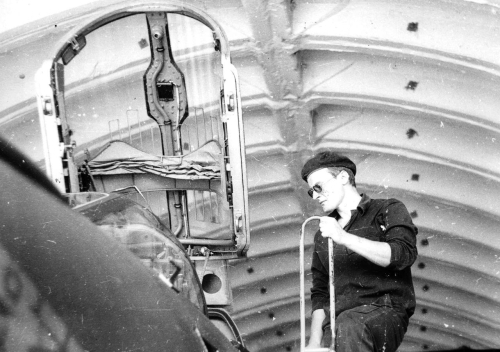 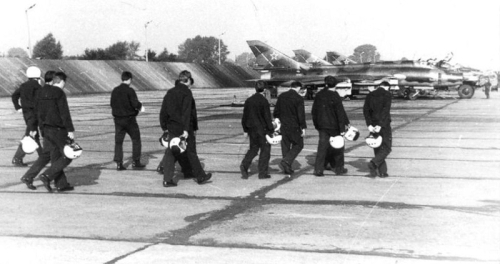 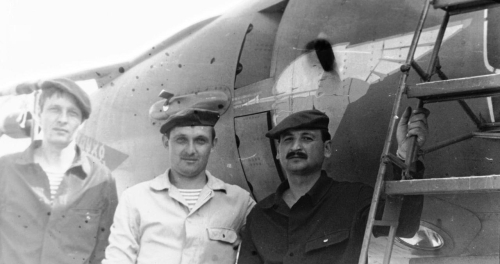 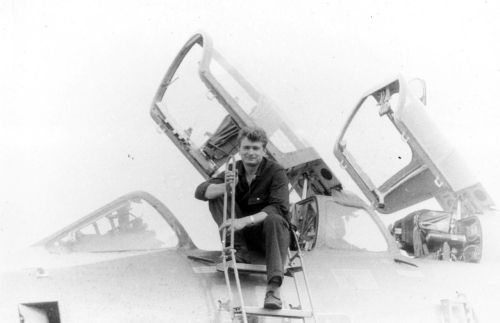 The photos below were made between 1983 and 1991 at Neuruppin airport about the 730th regiment's crews and technique. 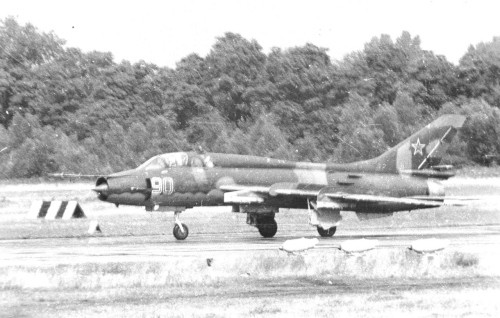 The regiment handed over their Su-17M4 Fitter-K in 1991 to the 20th Guard Fighter Bomber Air Regiment.